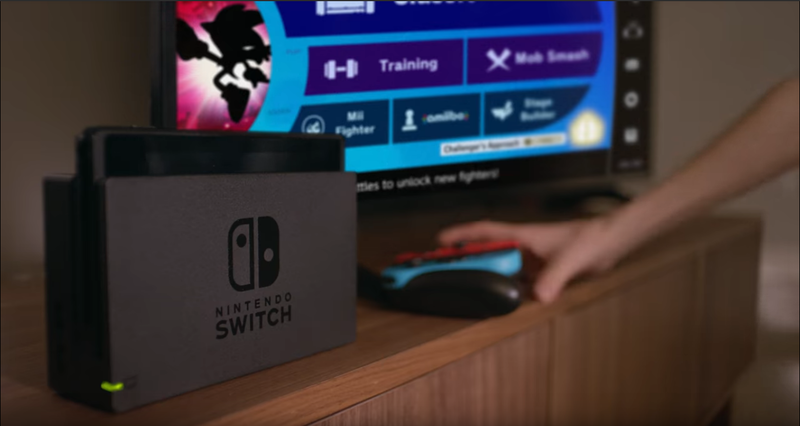 Nintendo has released a brand new commercial for Super Smash Bros. Ultimate, which is part of a series of “Nintendo Switch My Way” advertisements. At first, the commercial doesn’t have much, but you may notice that a “Stage Builder” mode can be seen in the game’s “Games & More” menu a few seconds into the video. The commercial can be seen down below. There needs to be bigger and better features/modes. While their at it, make it less limiting too. You happy you made the joke? How about dedicated servers ?? Better dlc fighters! Not crappy joker! Not to mention Piranha Plant. Do you want Banjo and Kazooie or Crash Bandicoot? Oh god banjo Kazooie hands down! Man. I love Smash bros and all, but so far, all these updates are disappointing. How about some real DLC fighters, or new costumes, or Event matches? You should unlock some more characters and try WoL out. There’s like… 70 fighters and a ton of more cooler event matches in the form of Spirit Battles. Mmmm a stage builder from past Smash games eh? Now were talking. Stage builder is cool and all, but HOLY FLIP THEY’RE ADDING SONIC THE HEDGEHOG??????? New costumes for the characters would be nice. I’d love to have Ganondorf in his Hyrule Warriors design; or Link in his. Stuff like that. Need I suggest that there might be MORE coming that we don’t know about or hasn’t been leaked? Not to mention that if Stage Builder is indeed coming with Joker, couldn’t this pattern continue with the later DLC fighters (such as a Melee-style Adventure mode in Challenger Pack 2 and then some sort of Targets mode(s) in Pack 3, for example?)? About time.. I’m grateful for Smash and all, but Ultimate has been nothing but a disappointment for me. The input lag ruined just about all the characters for me, online is bad, the good modes are all gone (All-Star/Home Run/Target/etc). I’m really hoping they went all out with Stage Builder so we can actually have a huge variety of possibilities for custom stages and not be limited. Cause I honestly unlocked every character within the 1st week of release, and I haven’t touched the game every since. Seems like a fighter game isnt for u then. Casually or Competitively it seems. Not at all. I have thousands of hours clocked into Smash Melee, Brawl, and Wii U. I went back to Smash Wii U, and I’m still playing Smash Wii U because I can play every character and do my combos without that stupid input lag ruining every character for me. Not to mention, the old modes are still there and all the mii fighter costumes I bought (They removed all the 3rd party mii costumes in Ultimate, another bummer). It’s just too many unnecessary changes in Ultimate made the game a complete let down for me. Okay, based on what I’m reading here, it seems to me you hold Home Run, Break the Targets, and so on in higher regard than the actual gameplay? Dude, if that’s the case, Smash Bros isn’t for you. That’s like me going out to buy a Monster Hunter game just for the fishing and Palico Mini-Game which would be a huge waste of money. As for the input lag, it’s really not that big of a deal dude, I played Smash Bros 4 to death and I easily moved to this game. Only part to your comment I do agree with is the online, that does need fixing. Never said I hold those modes in higher regard. I do love playing them in addition to the actual gameplay however. I know a lot of people have been able to deal with the input lag just fine, but me, I can’t even use the Gamecube controller correctly anymore. I was a Zero Suit Samus Main. Now, I can’t play her combos, can’t even win a single match without self-destructing at least once. So yeah, it’s a huge deal for me. I’m literally about to just sell the game, unless Stage Builder brings something good. Technically, you did say it. You said “all the good modes are gone”, since Smash Bros Ultimate clearly has the basic Smash Mode that focuses on the base gameplay, obviously if all the “good modes” are gone, that means what is present you consider less than what is missing so actually yes, you do hold the missing modes in higher regard. As for Zero Suit Samus, I know plenty of Gamecube Controller players that main her and have no problem pulling off combos so it seems to me you just need to practise. I would use the “git gud” meme here but to be honest, I find that very tasteless and disrespectful. That said, I do feel selling a game with this much content just because you can’t properly play 1 character is a very petty reason to outright sell it. There’s no need to make assumptions or “technically you said”. Just read it as it is. Without saying, Smashing is the focus of the game, it’s not a mode if it’s literally the focus of the entire Game. I’m obviously talking about the side modes. But on your other point, it’s not just Zero Suit Samus. Quiting because I can’t use 1 character would be ridiculous. I can’t use just about every character anymore. I definitely can’t play light, or fast characters. I hate heavy characters, and mediums are eh. So again yeah, it’s a big deal for me when I’m left with characters I greatly dislike or don’t use at all. Screw practice for a game that’s already ruined in my opinion, I’ll just go back to Melee or Smash4 no problem. But I at least want to see if ultimate gets any better before I decide to sell it. Hang on, that’s another thing that doesn’t add up here. If you don’t care for the base gameplay, what makes you think new modes are gonna change that? All modes, aside from the really obscure ones, use the base engine for Smash Bros Ultimate. When stage builder does come, you’re still not gonna like it because it will still be using the input lag you have said you don’t like. Hell, they could add in Break the Targets, Melee’s Adventure Mode, and even Smash Run and you still wouldn’t like it due to this fact. Also, have you at least tried a different controller? I’ve been playing with Switch Pro Controller this entire time and I love it, this may be a good idea for you as apparently the Gamecube Controller does have some extra input lag that the other controllers lack. My point exactly. Smash is the focus and all, by at times it get’s boring and all those Side modes really kept it going. Brawl had it perfect, I never got bored with it because of the plethora of single player modes. I think Nintendo knew what they were doing. When they leak something, it’s more obvious that they know it’s a leak so they try to tease us with it. You might be on to something- Nintendo itself put this up. Perhaps this means the update is ready to drop any time now. Adding modes after release eh? So, there is hope………..
Well I mean…Home-Run Contest was datamined alongside Stage Builder so unless Nintendo is trolling us big time, that mode is all but confirmed. i really hate the smash community they’re never going to be satisfied with the content that Sakurai gave especially in this website like just be glad that we’re getting a dlc and new content honestly if the fandom is still like this i think its best if Sakurai stop making it. Just because all characters and a lot of stages are back doesn’t excuse the horrible handling of the game modes. The Online is atrocious, the lack of offline modes is just terrible, all-stars mode has been ruined, and many modes people came to love like Home-Run Contest and Break the Targets are gone. Even Smash Run is gone. The only modes that are actually good is the base Smash Mode (Which honestly you can’t screw up unless the core-gameplay is terrible, look at you SSBB), Spirits Mode, and classic mode. You can have all the characters and stages in the world but if you’re modes are bad, it’s not gonna make a lick of difference.